The Masters at Augusta Starts Today, So Who Will Claim The Win? 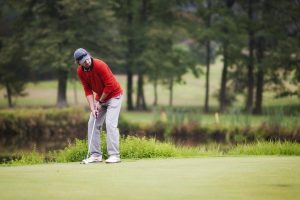 This weekend we have a huge sporting event to enjoy as the first Major of the golf season gets underway at Augusta on Thursday afternoon. 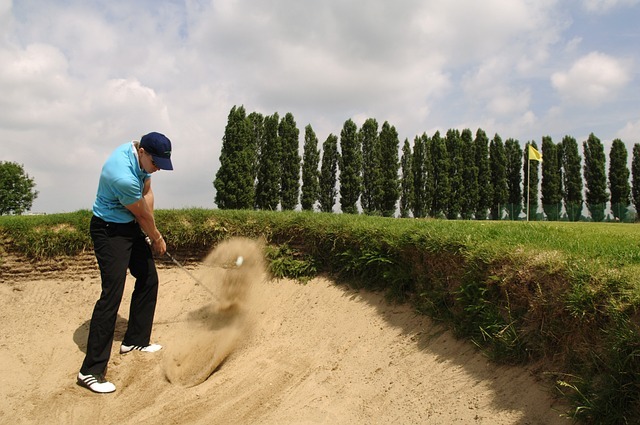 The Masters is one of the biggest tournaments of the year and arguably the most famous golf tournament in the world. The action will begin on Thursday with the ceremonial first shots of the tournament taken by legends of the game Gary Player and Jack Nicklaus. It promises to be one of the most intriguing Masters tournaments in recent years and in the past we have seen a number of surprise winners including Danny Willets, Sergio Garcia and last year’s winner Patrick Reed, who edged out compatriot Rickie Fowler in a nail-biting final round. If you fancy a flutter on The Masters then there is still time to get your bet on. You can enjoy a wide range of betting markets at bet365 Sport, including In Play betting as the rounds are in progress and of course, there is betting available on the outright winner too. New customers can join using the latest bet365 Sport New Customer Bonus to ensure they get a great deal when signing up and to help tee them off perfectly on the site. So who will be the next player to be presented with the Green Jacket this year? We’ll look at some of the top candidates below, but first let’s learn a little about the fabulous history of Augusta and its famous course. Steeped in tradition and still, technically, an invite-only event, The Masters is for many golfers the pinnacle of their sport. The first of the four Majors in the year, with one a month to enjoy from April through to July, the tournament has seen some of the biggest moments in golf take place during it over the years, starting with Gene Sarazen’s “Shot Heard Around the World”, which is commemorated with a plaque from the place he took the shot on the 15th hole, which resulted in an extremely rare albatross. Indeed, there have been just three albatrosses in Masters history, none coming at that 15th hole. 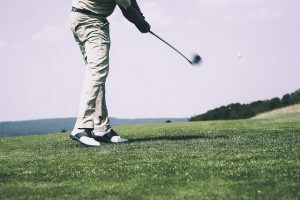 Over the years the skills of the likes of Arnold Palmer, Jack Nicklaus, Tiger Woods, Phil Mickelson and Severiano Ballesteros have lit up the tournament and this year a raft of hugely talented players such as Rory McIlroy, Dustin Johnson, Rickie Fowler, Jordan Spieth, Justin Rose and of course, Tiger Woods, will once again be gunning for glory. We have already seen Patrick Reed host his Champions Dinner on the eve of the tournament, a select party to which only previous winners of the Masters are invited and the Par 3 tournament was completed yesterday with Englishman Matt Wallace being the winner, although his joy at that may be tempered somewhat as the winner of the Par 3 tournament has never gone on to win the Masters in the days afterwards. The 5th hole, Magnolia, has been lengthened for the 2019 Masters, and there are prospects that the 13th and 18th hole could also be lengthened for future events, but both will play as they did in previous years for this year’s tournament. 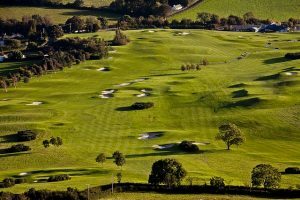 The course now measures 7475 yards in total but it is its subtle breaks and undulations, particularly on the greens, that makes it such a difficult course to Master. Holes 11 to 13 are the famous Amen Corner series of holes which have produced some of the most exciting moments in the tournament’s history in the past and which will likely be pivotal in deciding which of this hugely talented group of players turns out to be the Champion in 2019. The odds shown below were correct as of 9am on Wednesday 10th April 2019.
Who will be in contention for The Masters 2019? There are a lot of players in good form heading into The Masters this week and while this is not necessarily indicative of a player winning the tournament, it does give you a good idea of who is striking the ball well and accurately, a key component of any victory around Augusta. Three of the top players in the world, Rory McIlroy, Dustin Johnson and World Number 1 Justin Rose certainly fit that category and all three will have high hopes of putting on that Green Jacket on Sunday. Rose was a runner up in a playoff to Sergio Garcia in 2017 and McIlroy has made it his ambition to claim the Masters, the only Grand Slam to elude him in his career thus far. Johnson’s massive length from the tee and his ability around the greens should ensure that he is also a real contender on Sunday. Tiger Woods return from injury is a positive and he has been looking much more like his old self in recent times. Jordan Spieth has a fabulous record at Augusta and although his form has been erratic, he always seems to contend here. There’s a cluster of talented Europeans too who could go well including Ian Poulter, Tommy Fleetwood, Paul Casey and Francesco Molinari. My tip to win however is Rickie Fowler. The American is yet to land a Major title but has won The Players Championship and he has gone close in this event last year. He is playing well heading into the tournament but has been under the radar for a little while and at 16/1, I feel he is great value. A great each way bet is Henrik Stenson, the Swede is long and uses a 3-wood rather than a driver which ensures greater accuracy, always a premium at Augusta. If he can master the greens and find his top form, he could be a real contender and at 60/1, is a fabulous Each Way bet.